When you are injured on the job, federal and state laws provide that you have the right to collect payment for injuries and loss of work time. Worker’s compensation was designed to protect workers as a group, not address the individual rights and needs of workers. Under workers’ compensation, you are treated as a typical case, not as the individual you are. Your accident is not assessed on its individual merits but as part of a "type" of workers’ compensation accident with all the attendant rules and regulations governing payment for your injuries. With a personal injury attorney, however, you receive special, individualized attention to your case and are assured that your needs are considered. A personal injury attorney can help someone who has been injured in a work-related accident recover the full amount of damages due to them, as well as a sum for pain and suffering. All costs will be assessed and accounted for by a lawyer, instead of the worker being forced to accept payment according to some scale concocted by the government. Brad Parker says that workers’ comp claims can sometimes recover a very minimal amount, and the process is fraught with barriers that try to defeat the claim at every turn. “In a personal injury case, you have a lawyer and a lot more rights, but you must demonstrate liability,” he says. It’s imperative to know the differences between workers’ comp and a personal injury claims. Texas, unlike other states, does not require an employer to have workers' compensation coverage. Under workers' compensation law, an injury or illness is covered, without regard to fault, if it was sustained in the course and scope of employment; this includes injuries sustained during work-related travel. Injured workers must file injury reports within 30 days of the injury, must appeal the first impairment rating within 90 days of its issuance, and must file the formal paperwork for the workers' compensation claim within one year of the injury. If the work-related nature of the injury or illness was not immediately apparent, those deadlines run from the date on which the employee should have known the problem was work-related. However, workers’ compensation does not often provide all the money necessary for payment of expenses related to an injury sustained at work. Personal injury law applies to individuals who are hurt by others, either due to their actions or inaction. Negligence on the part of the defendant must be proven, and this negligence must also be proven to have caused the injury in question. Plaintiffs in personal injury cases can recover for pain and suffering. Petitioners in workers’ compensation cases can never recover for pain and suffering. There are several defenses available to defendants in personal injury lawsuits that are not available to defendants in workers’ compensation claims. Personal injury claims are adjudicated by a court and usually decided by a jury. “In a recent case, we represented a female steelworker who was putting in steel across a roofline. Our client fell wrong and became a paraplegic because of the accident. 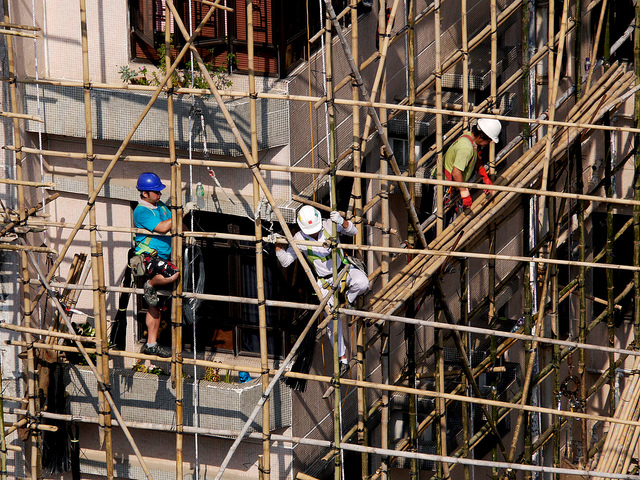 We sued the employer for not having a proper fall protection system set in place and received a good settlement for her. We had to fight like the dickens to get it,” Parker says. If you have been injured at work and think you may have a claim, contact The Parker Law Firm today at 817.440.3888.